The Learning Curve Institute is Ireland's leading specialist trainer in mental health, addiction and best practice in the workplace. The Institute was set up as a Private Limited Company early in 2009. London) and an Honours degree in Counselling and Psychotherapy (Middlesex University), a Dipolma in Drug Dependence (The Maudsley Hospital London) and a Higher Diploma in Education (Bristol Univerity of the West of England). Our mission is to assist businesses and organisations in empowering their personnel to cope with challenges in the working environment and implementing best practice in the workplace. Our company has grown in strength since 2009 and through an increasing demand for our services now boasts a team of lecturers who have a proven track record in their fields of expertise. All of our training is designed and delivered by professionally trained specialists with real life on the ground experience. We are proud of the fact that the majority of our customers are repeat business. We have built a strong reputation through actively listening and tailoring our training to make sure that it meets their specific needs. 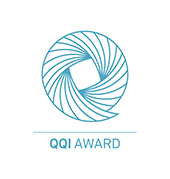 The Learning Curve Institute also offers validated programmes leading to QQI awards in Mental Health Awareness and Addiction.